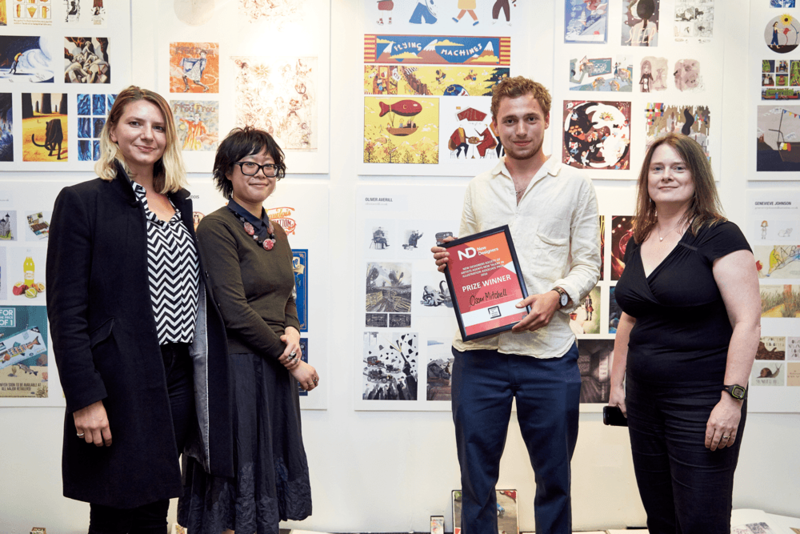 The SAA reviewed graduates specialising in illustration from over 35 universities and Oscar was judged to have created the most fresh and inspiring work within the Visual Communication zone at the show. The prize: a career-making six months trial representation by one of our member agents, which will include mentoring and career development. Stay tuned to find out which member agents Oscar will choose. Oscar was also awarded Digital Arts Online’s Selection of Best in Show at New Designers 2016; along with being named It’s Nice That Graduate Award Winner 2016 earlier this year. Oscar Mitchell is an Illustration graduate of Falmouth University. His body of work is defined by his highly expressive characters, brought to life with a strong use of line, block colour, pattern and brushstrokes. 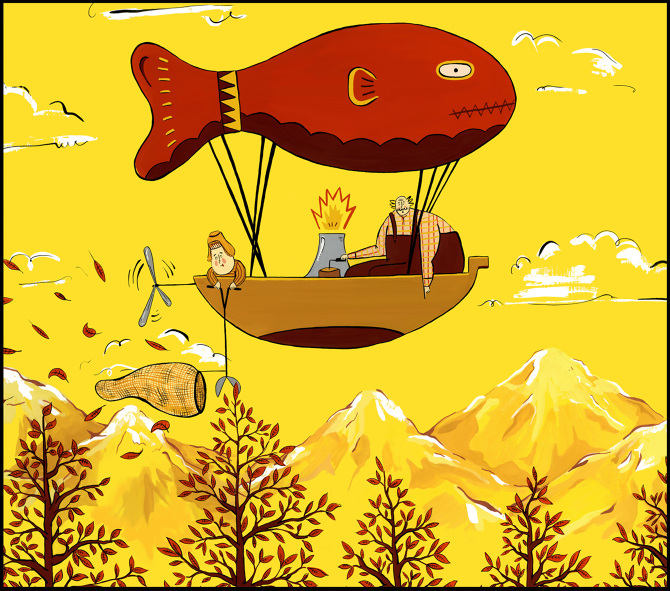 Oscar’s flair for illustration came from a lifetime of doodling and taking notes, filling the blank spaces of his textbooks and revision materials at school with interesting observations and imaginings. “I remember one day drawing a nose (kind of line drawing sea gull shaped) and thinking ‘cool, I think I’ll keep doing noses like this’. Then came eyes, body shapes and everything else which resulted in a ‘style’ of fine liner pen drawings of strangely proportioned humans plastered over any blank space,” he says. Many of his pieces make use of gouache to create flowing scenes fully inhabited by his characters, laden in quirks and idiosyncrasies. The pieces capture movement, gait and personality with effortless ease. While some pieces are pervaded with intricate patterns, others are allowed to swim in negative space. “I think it just tightened up over the four years I was in Falmouth. I started initially doing painstakingly intricate cross hatched fine liner drawings and for the past two years I have really only used gouache paint,” he says.